The park at the corner of Moore St. & 19th St. in Rosslyn offers everyone free power from the sun. This solar charging station emphasizes Rosslyn's leadership in green technology and its warm hospitality to everyone. More street high-tech is on the way. 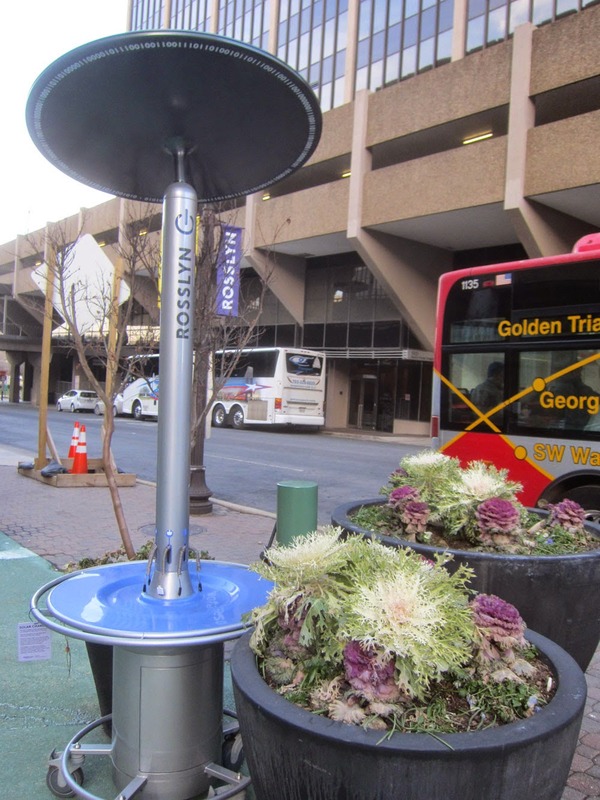 Rosslyn BID, which installed the solar charger, is currently exploring custom-designed street lights. These street lights will "use solar power, create ambient light that changes color, charge cellphones and cars, and bring WiFi to Rosslyn." Rosslyn is not only historic, but also futuristic. Good point. The Tribune's journalist has seen a fair number of electric bikes while making the rounds of his Rosslyn neighborhood beat.